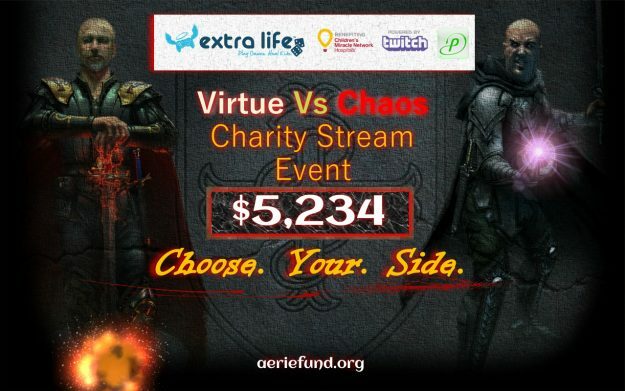 Extra Life – Virtue vs Chaos – Results! 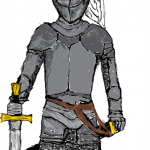 Last week we showed off the first pieces (helms and chest pieces) of the armors of the three principles of Truth, Love, and Courage. 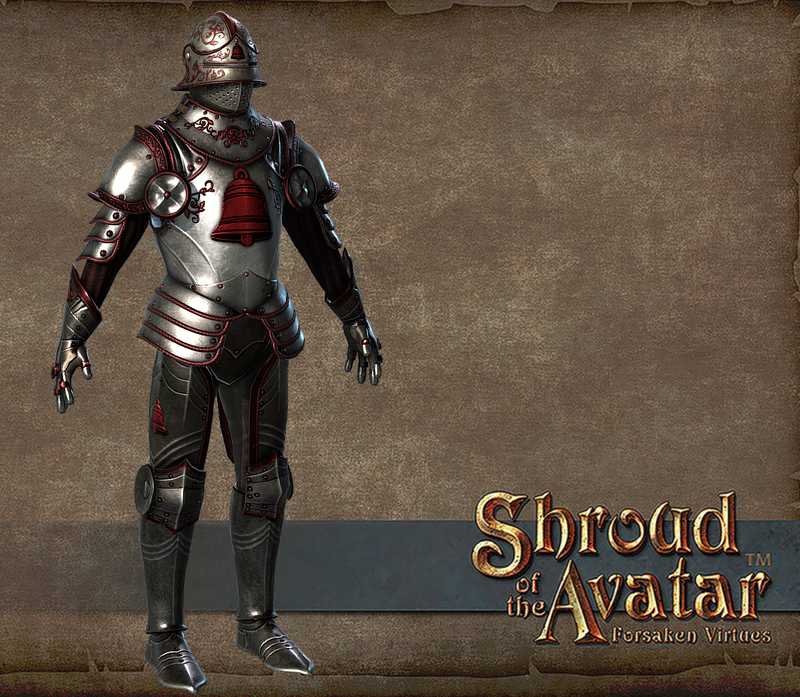 Over the next few weeks we will be showing you the full sets of those armors. The helms and chest pieces will be going live in Release 48 as part of quests in the Outskirts (helms) and the new mines (chest pieces). 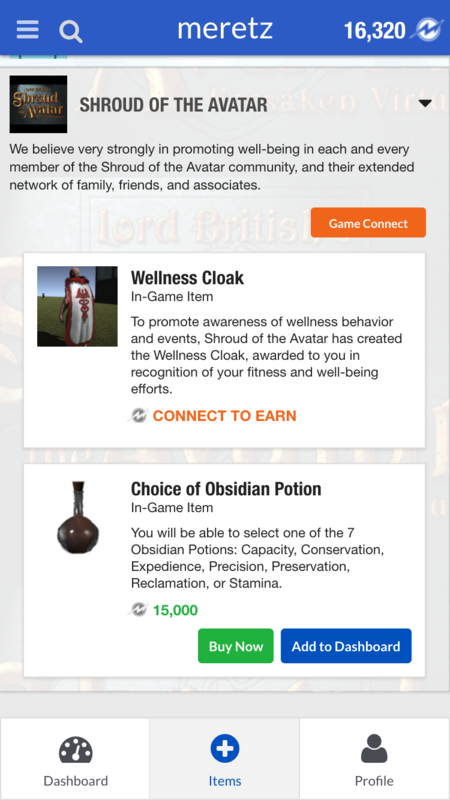 Starting in Release 49 the remaining pieces of the armor (gloves, leggings, and boots) will start to appear as rewards for other quests. So! 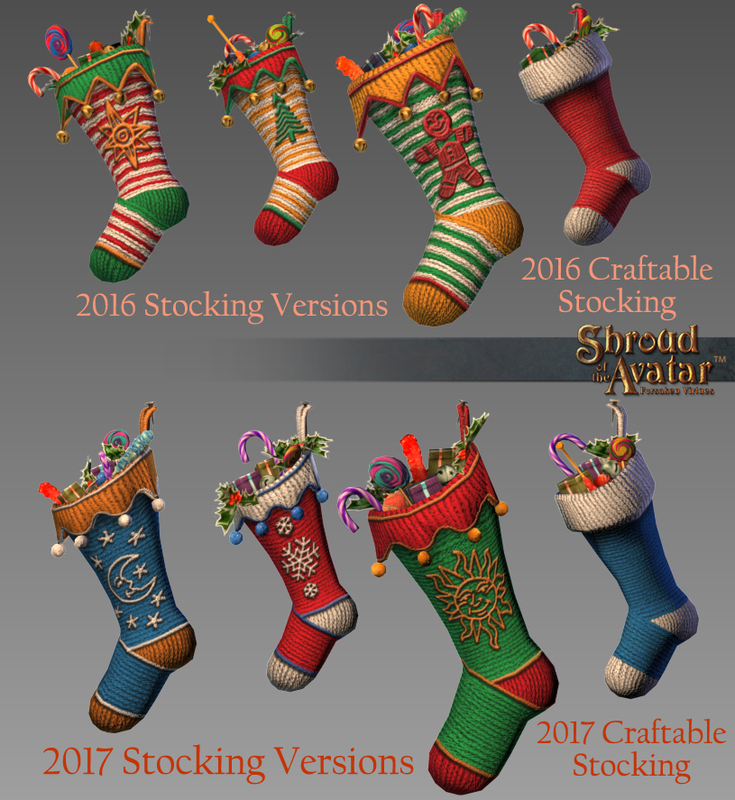 For today’s post in this ongoing thread I get to show off the 2017 Yule Stockings I mentioned I was working on! As has been my recent trend, You can see them as they appear in Max, and I’ve arranged them so that you can see the comparison between last year’s and this year’s… There’s even a new Craftable version in a beautiful blue variation! Up next I’m beginning work on some completely new Yuletide decorations in the form of a set of Garlands to compliment our existing holiday wreaths! 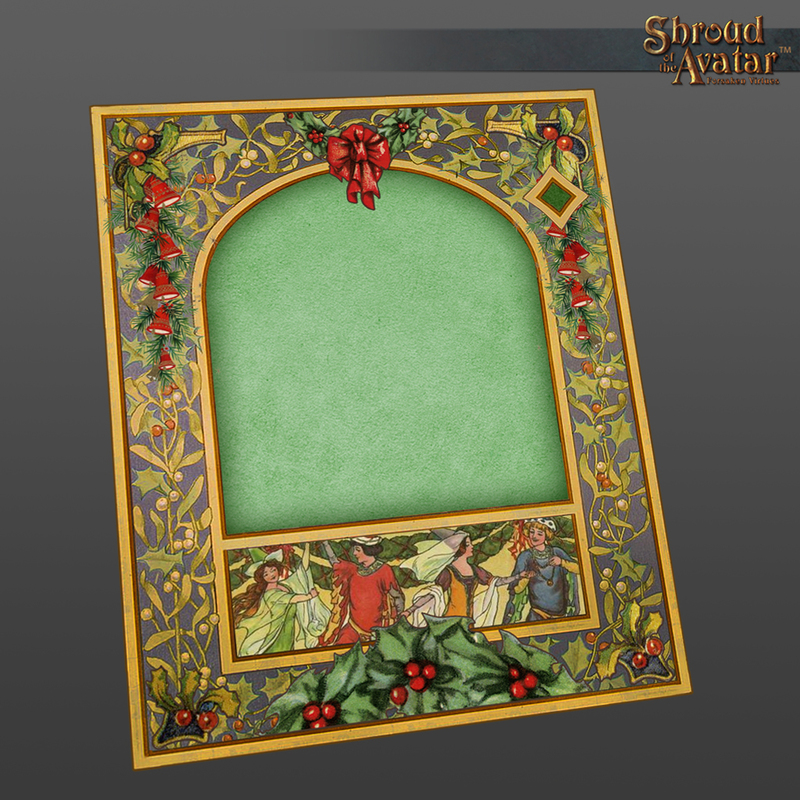 Today I was able to finish a new category of Yuletide decorative item that folks have been asking for! 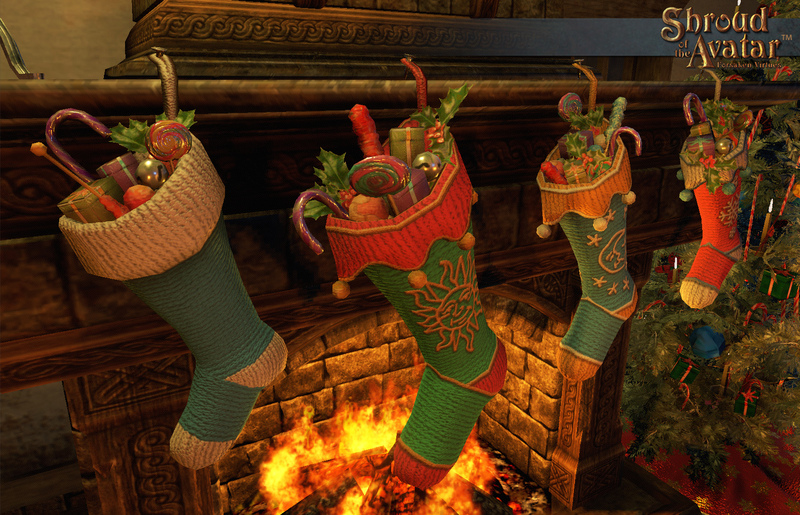 Allow me to present, the Yuletide Garlands! There are two sets I’ve created for 2017, based on this year’s Yule Wreath created by Reid. 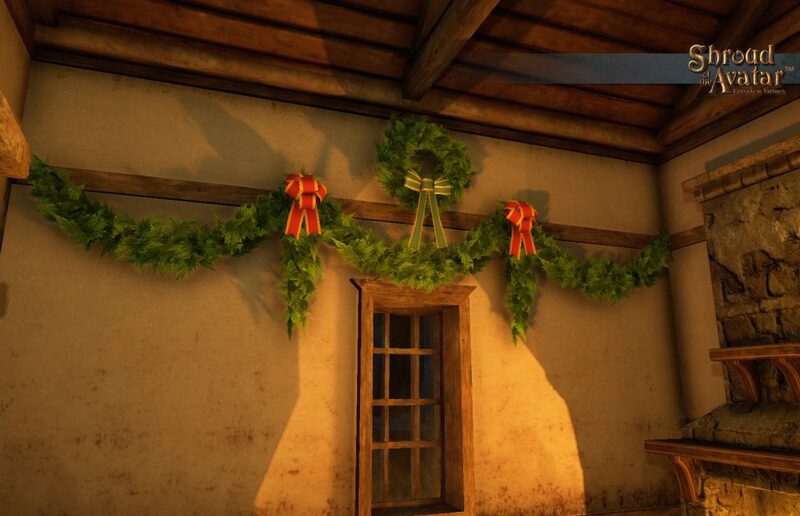 There will be two set versions; the Ornate Garland set and the Craftable Garland set. Each set is composed of two kinds of elements (the shallow, U-shaped “Swag”, and the slightly fancier hanging “Ribbon Strand”) in two different sizes (small and large). 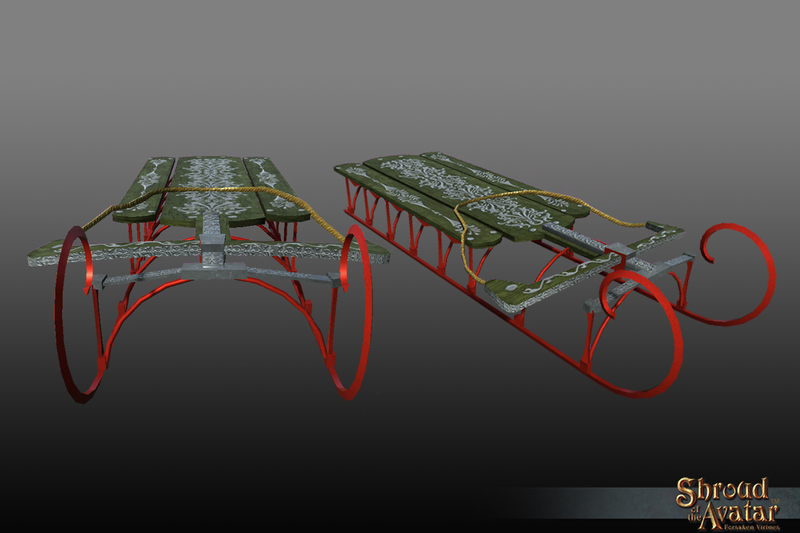 You can see these below, having been completed in Max. They will be made to function in the same way as the wreaths, in that they are made to be hung on the walls (and other vertical surfaces large enough to accept them) to accompany wreaths from either this year or last year. This initial image below shows three pieces from the small Ornate set used in conjunction with this year’s wreath! 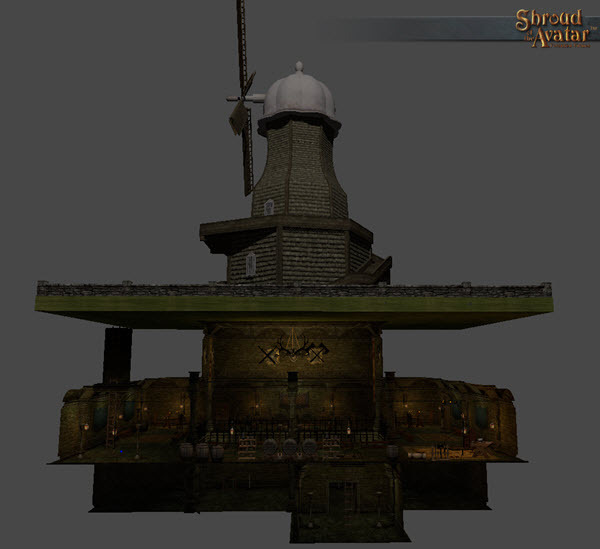 And this image displays three large Ornate pieces set in a similar configuration! 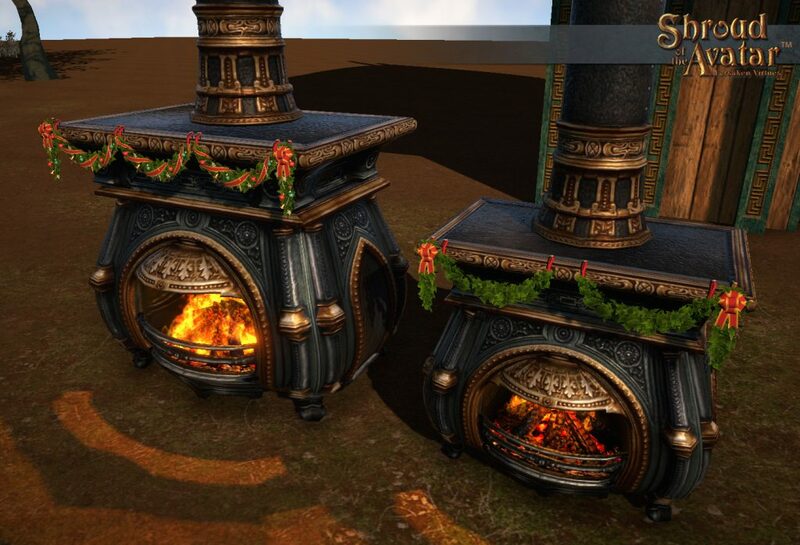 Of course, once these are made into proper deco items that I can give my character, I’ll be able to test their collision to make sure they do what I want them to do in a “live” house on an actual plot using the Deco Interface (as I tested the stockings and chimneys and such). 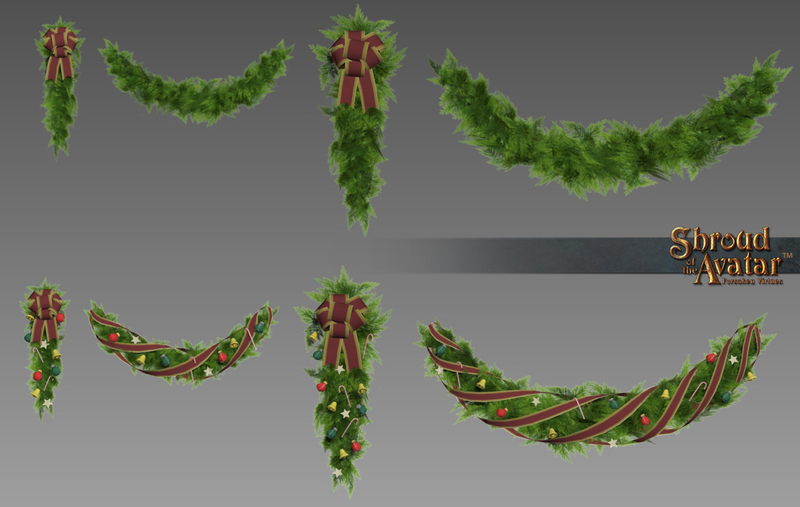 In this final image for the garlands I’m showcasing the simpler, Craftable versions, and comparing their look with last year’s Craftable wreath. I think they complement each other quite nicely! 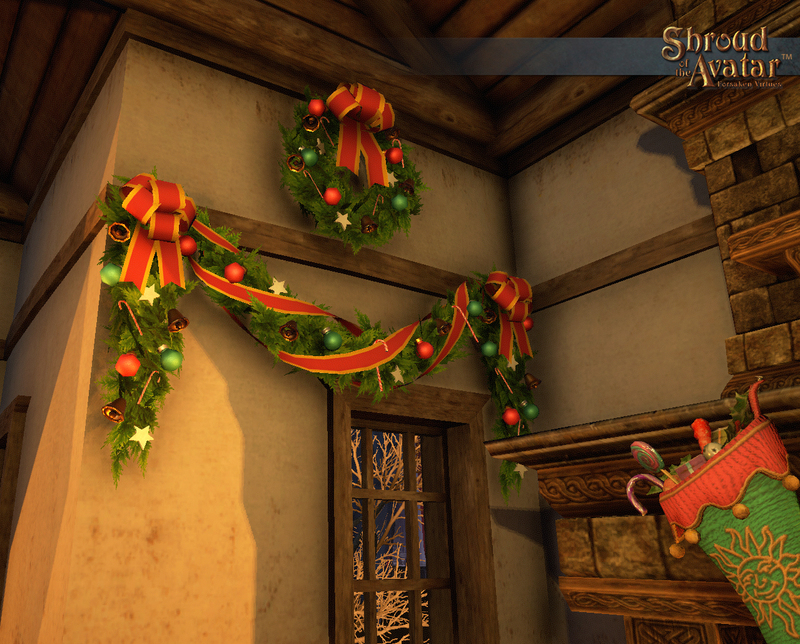 You can see here that I used five different Craftable Garland pieces to create this arrangement, and in this manner (assuming all the deco tech functions properly), players should be able to adorn the walls of their house all around most rooms! I hope you enjoyed these additions to the Yuletide cheer. 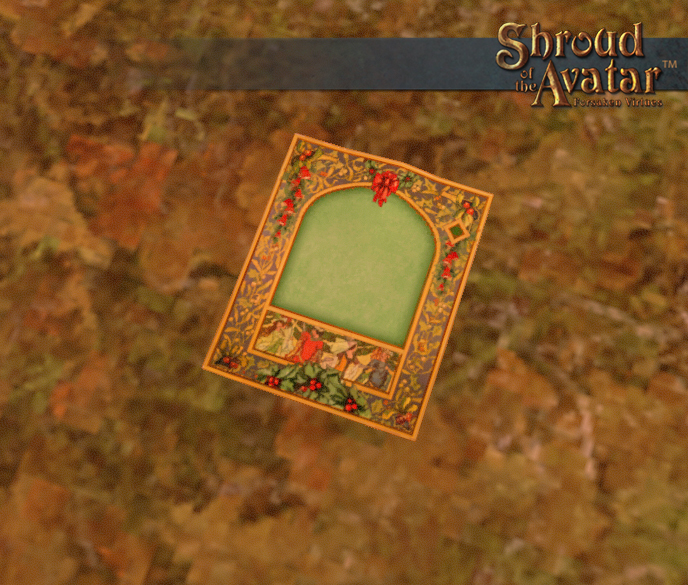 Up next, I’ll be designing our first Yule Card you can give to your friends and loved ones! 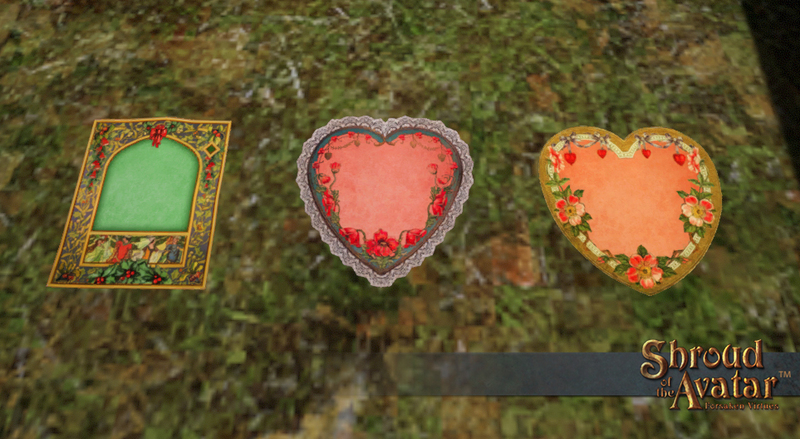 They should function just like our Valentines cards, but with a festive winter theme! Oh! And as a special, last minute bonus,…here’s the added pieces I created for the Yule Garlands, that allows you to decorate horizontal surface edges (like the stockings can)! You can see them at work here on a fireplace mantel, large and small! 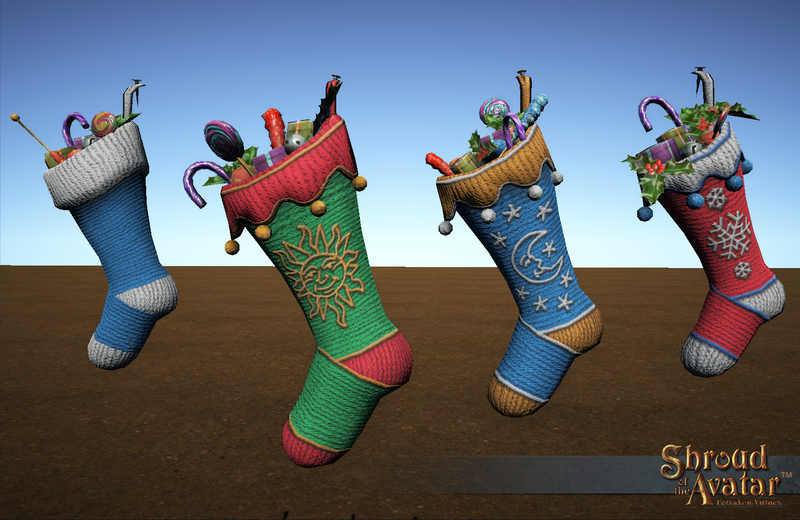 Depending on how you arrange them, you might even be able to fit a stocking or two along with them! OK! 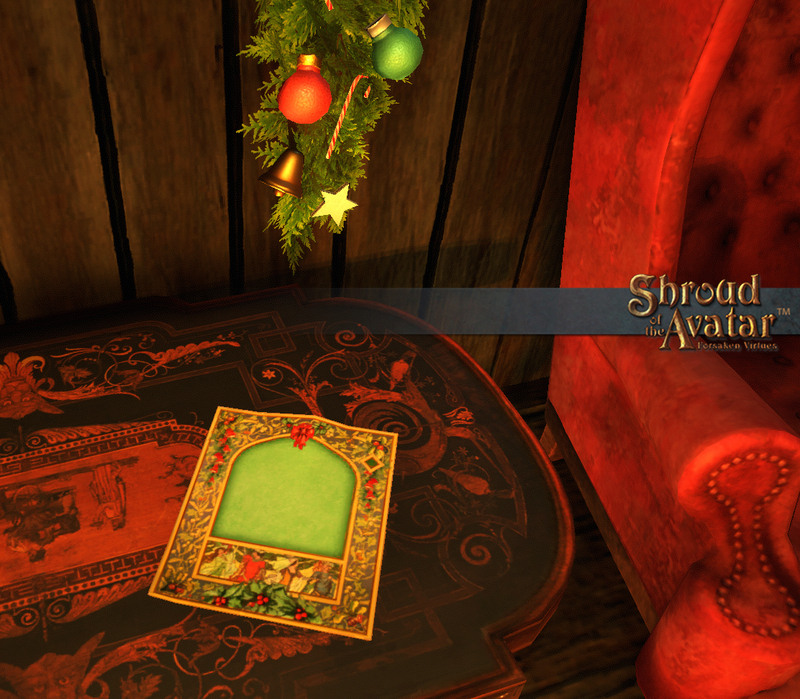 So here I am at the last moment before Lockdown sneaking in my final Yuletide asset just before midnight! 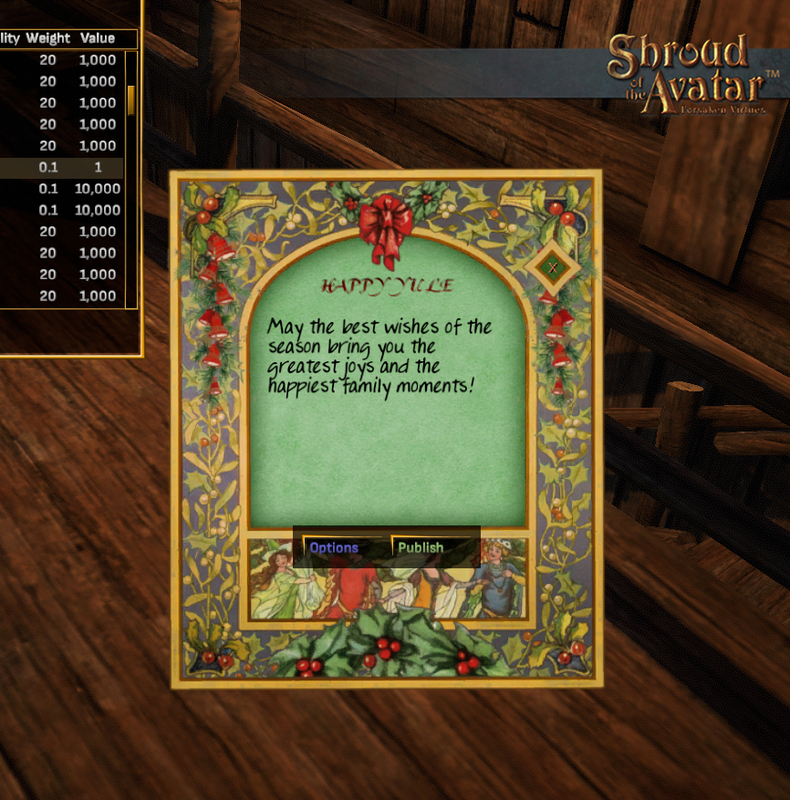 As promised, I was able to barely squeak by with my time and cram in everything I was hoping to accomplish, including the final hoped-for item,…the Yule Card!!! Here it is laid down in broad daylight in the game, for comparison against the detail level and size of the earlier Valentines Day cards… Rich in color and detail, the 2017 Yule Card can has general winter-themed designs of a classic style with illuminations reminiscent of medieval fashions mixed with vintage painted borders and holly border elements. 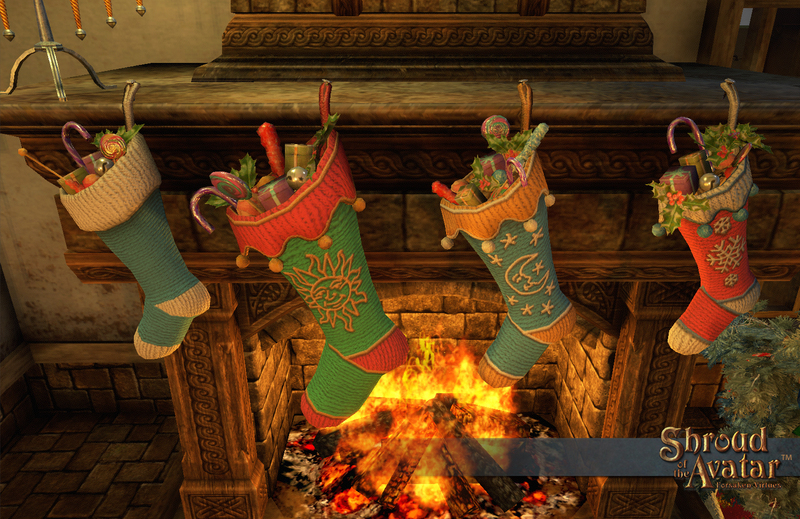 As such it could be easily labeled by a player to be used for all sorts of winter-themed holiday festivities… And once you invoke its interface, either in one’s inventory or by double-clicking on it in the game environment as a deco, you can enjoy seeing its illustration in even greater detail as you compose the perfect season’s greetings! 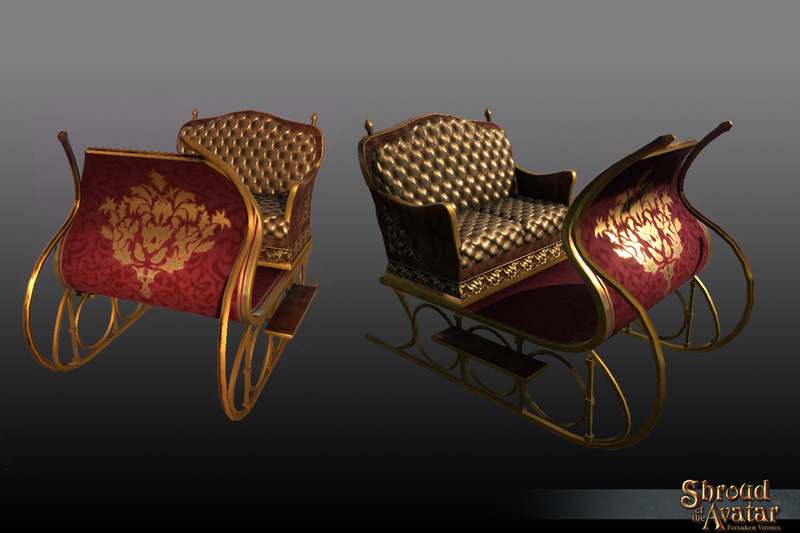 Assembling this one from antique references was quite the chore, but well worth it… It’s going to be hard for me to top the beauty of this one for next year! ^_^ Hopefully you’ve enjoyed checking out all the Yule celebratory items I cooked up for this 2017 season… Thank you so much to everyone who inspired and urged me to push that extra few steps forward to make these new items a reality! I’ll be talking about all of these in the upcoming Live Stream!!! 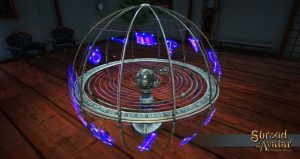 As mentioned in a previous update we created several new threads to show off content that we have been creating for SeedInvest Perk Packs, Telethons, and the Holiday Season. We will be making and posting in these kinds of threads going forward so that our players can stay up to date on the latest images of these items as we make them. In the case of the Telethon and holiday content they will first go in Dev+ and then later be included here in the Weekly Update. 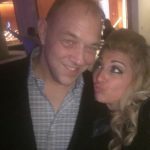 This week we continued adding images to the threads about R46 Telethon items and the Winter 2017 items. 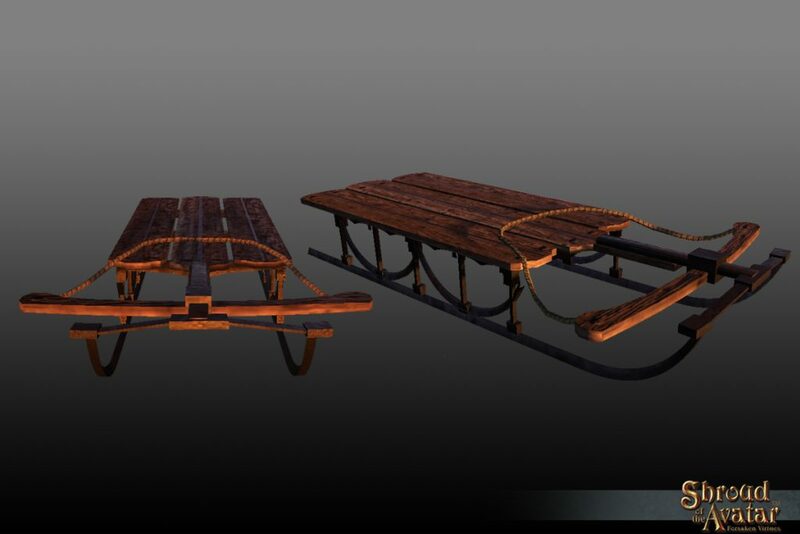 This year we are again making Winter themed items to celebrate this festive time of year. 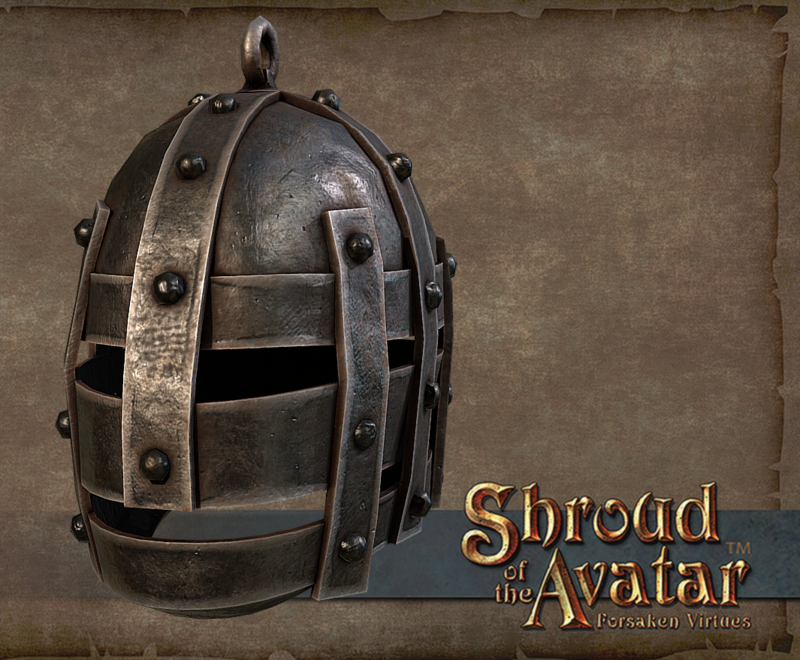 These items will only be available for a limited time in the Add On Store. We have now begun working on the R46 Postmortem rewards which were Spooky themed. 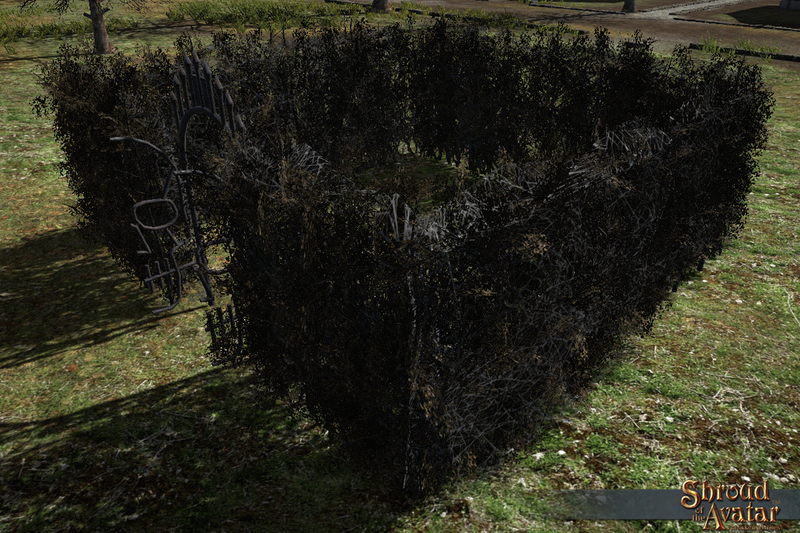 Dead Hedge Set: note how the gate is a skull! 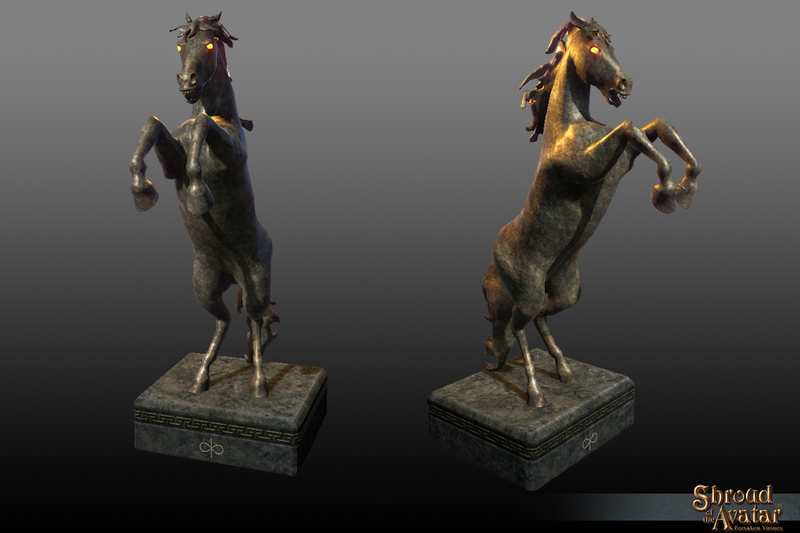 Nightmare Statue: note the vfx on the mane are not visible in this render but are super cool trust me! 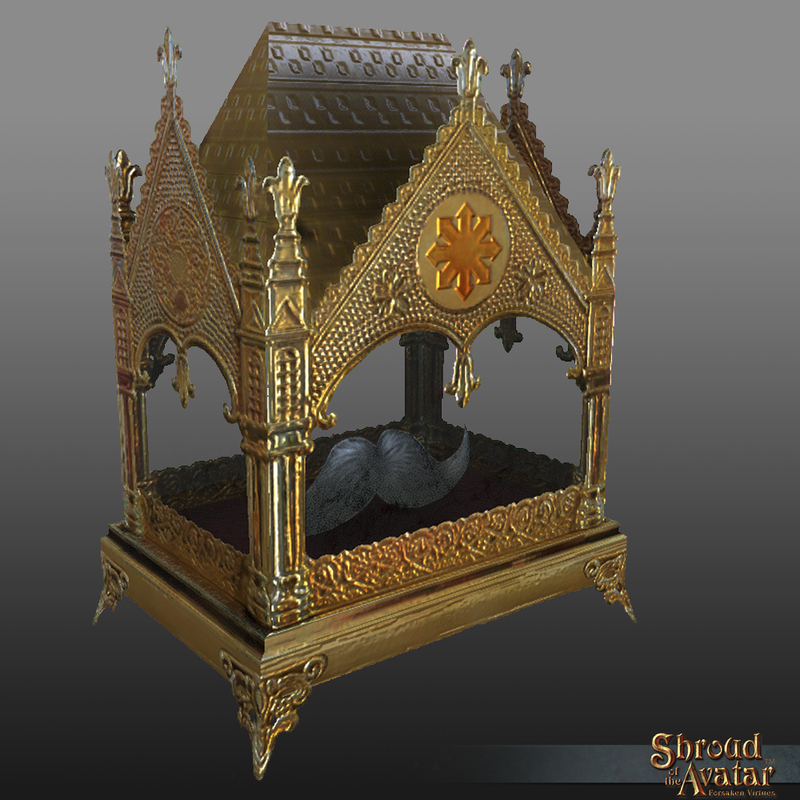 Last week we mentioned that once again we have reformed our Movember team Moustache of the Avatar and that we are creating two new items for the Movember store (Lord British Follicular Reliquary and the Darkstarr Follicular Reliquary). 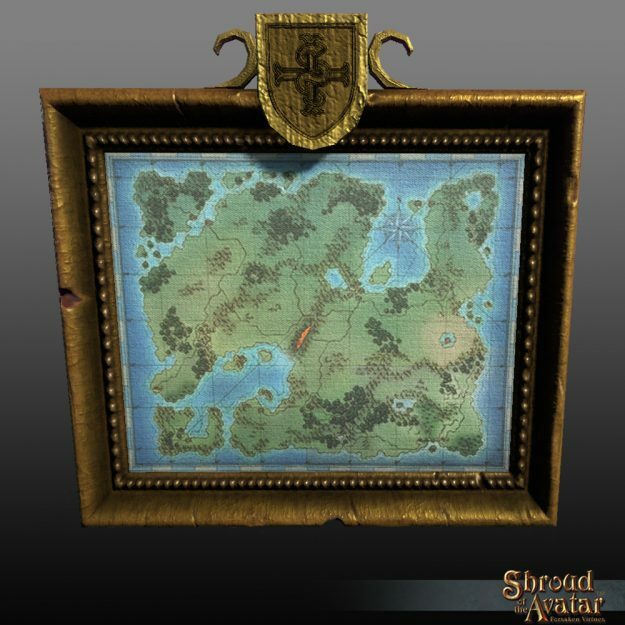 Note that we have already sold the Cloth Map Prototype Bundle! 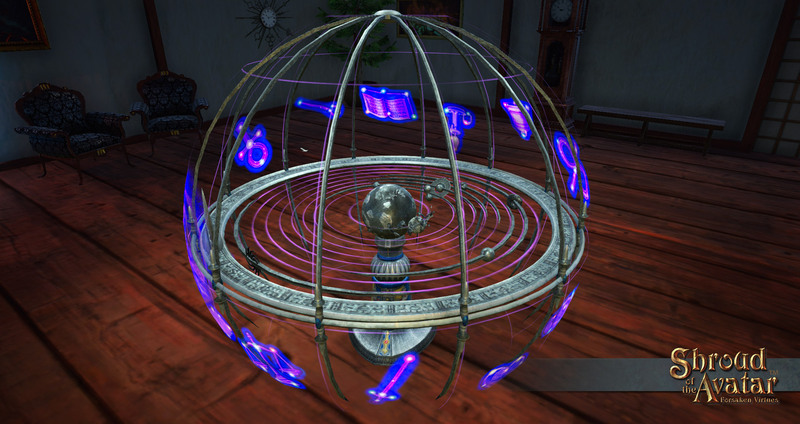 Artifacts will undergo a major refactor in Release 48 in order to better align them with the rest of th e economy. In order to not have them directly compete with crafted goods they can no longer be repaired like regular items. 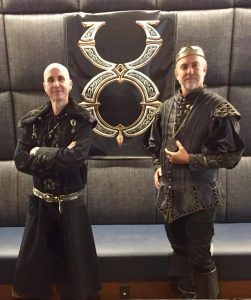 Portalarium’s Starr Long and Richard Garriott will be joining Raph Koster to give the 20th anniversary postmortem of Ultima Online at GDC 2018. Kal Ort Por! The death of Lord British. 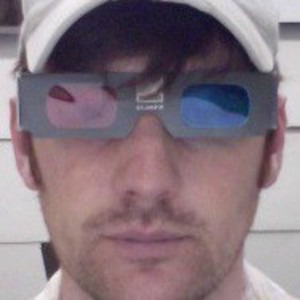 Simulated ecologies. Playerkillers. The Bank of Britain. City sieges. Weddings. Sports events. Players who were orcs. Living the Virtues. 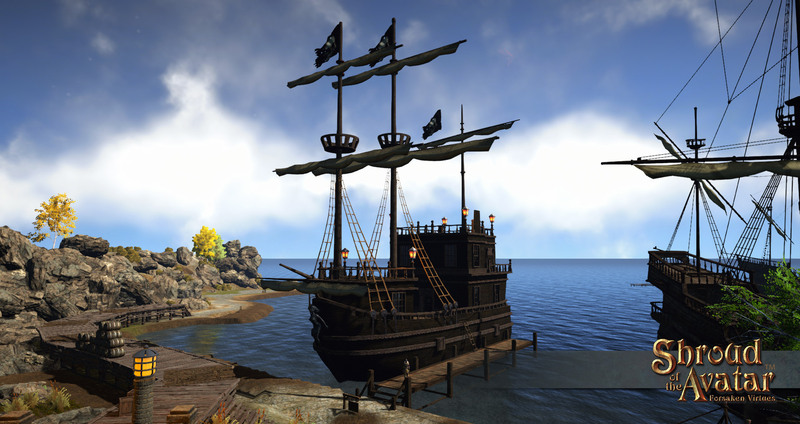 In September 2018, we marked the 20th anniversary of the launch on Ultima Online, the pioneering massively multiplayer RPG that changed online gaming forever. 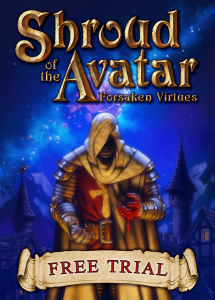 Join three key members of the team as they talk about the things that went wrong and right: Richard Garriott de Cayeux, the legendary Lord British and producer on the game; Starr Long, the original director; and Raph Koster, the creative lead. 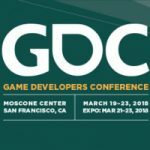 And as a special treat GDC just posted the panel Starr Long was on last year at the GDC Community Summit to their youtube channel! 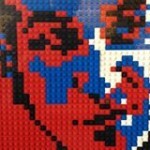 Working with communities has expanded beyond mere feedback loops between developers and players. It has formalized with the growth of Crowdfunding platforms like Kickstarter and marketplaces like the Unity Asset Store and most recently equity ownership via platforms like Seed Invest. Attendees will gain expert knowledge about all the various options and platforms available in this constantly evolving world using real examples from industry veterans Mary Flanagan, Starr Long and Gordon Walton. Urbanization is creating a congestion crisis in and between cities. But when we go to add mass transit we find little usable eminent domain. The streets and highways are full. Yet if we look up we find space in fields or between buildings & above streets. This session will examine technologies that can add mass transit in that overhead space. Urban Cable, Personal Rapid Transit, Hyperloop and Aerial Taxis. The technology amplifies other modes leading to Smart Transportation Cities. Stay tuned for exact dates and times as they are revealed. This latest Free Trial Test runs from Nov. 1-15. As with our previous tests this will let us continue to gather data about uptake, drop-off, conversions, etc. These tests are invaluable for us in order to improve the New User Experience and the Free Trial System. 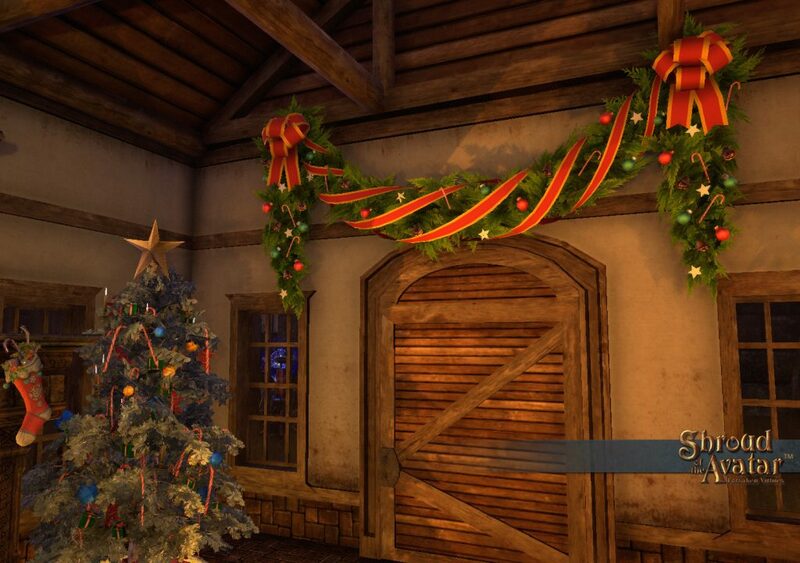 ‘Tis our favorite time of year: the holiday season! It is that special time where you purchase gifts for the ones you love (including yourself) and it is that special time where we release all sorts of fun holiday goodies for Halloween, Fall, and Winter. 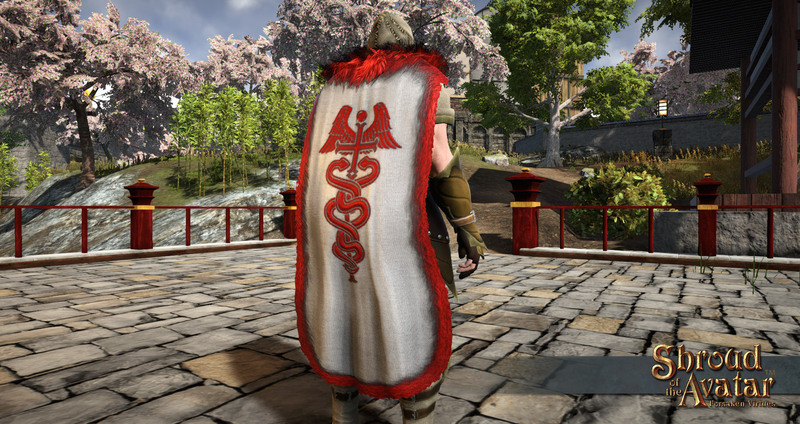 To celebrate we are rewarding all purchases of $15 or more with a bonus of Gold Crowns. The above will be awarded for all new purchases (including bundles, bundle upgrades, add-on items, player owned town upgrades, and Make a Difference items) between 10:30 AM September 28, 2017 and Midnight CST, November 27, 2017 (6:00 UTC, November 29, 2017). NOTE: This will not count for purchases made with store credit. 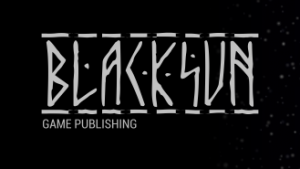 In honor of our partners Black Sun launching the Russian version of Shroud last week, we are coordinating a three week long series of sales that represent some of our biggest sales with some of our deepest discounts ever! Tune in each Friday to find out what will be on sale. 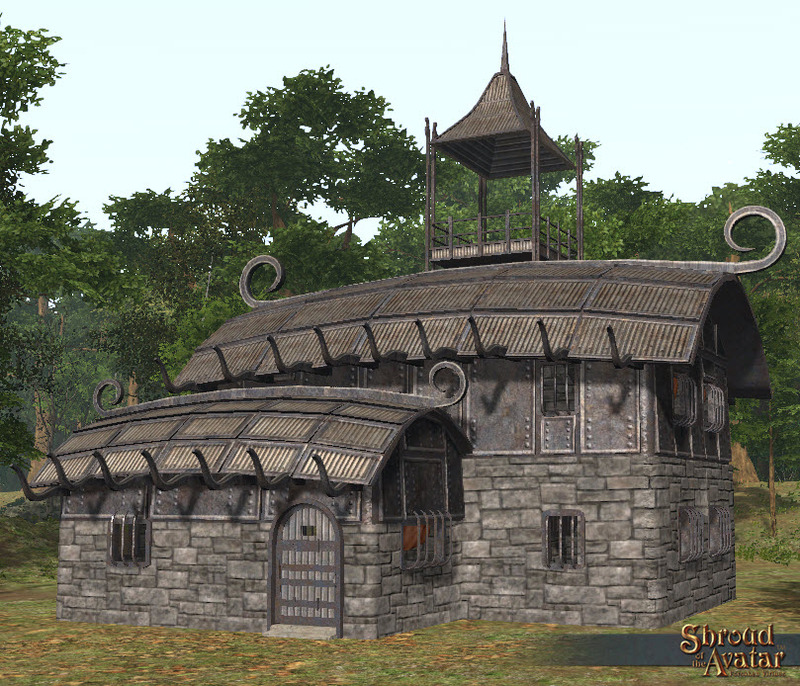 We are now on Week 2 (Nov. 10-16) and all of the game’s Houses and Basements are on sale! 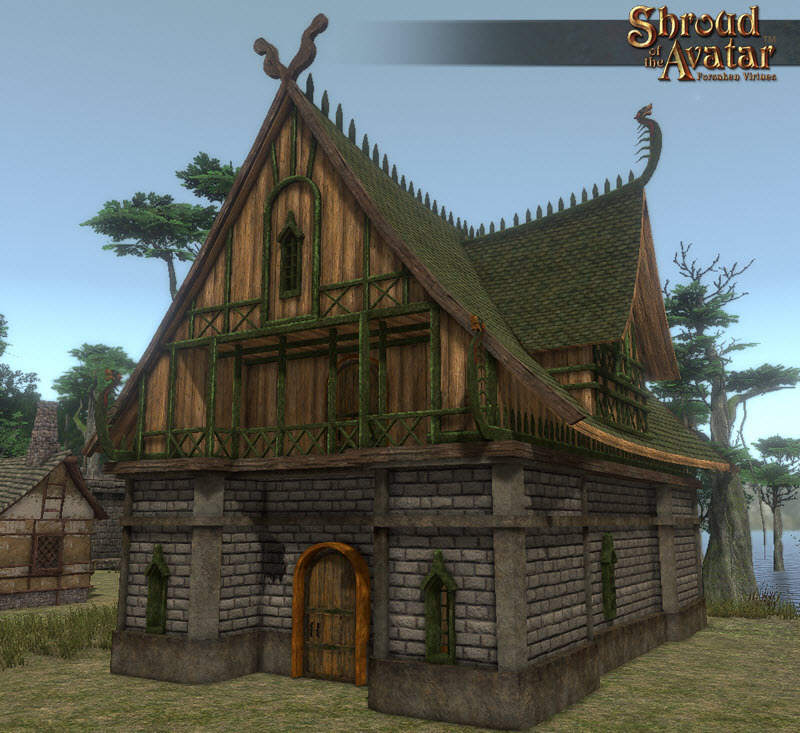 View all homes in the Add-on Store! 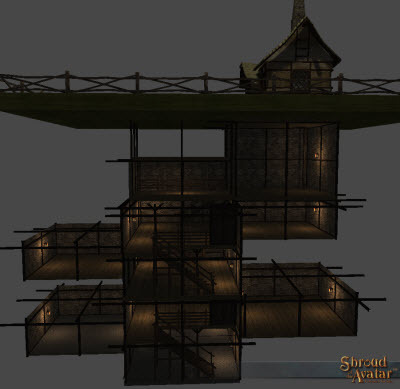 View all Basements in the Add-on Store! *Some items may be rounded to 35% sale price by a few fractions of a percent. 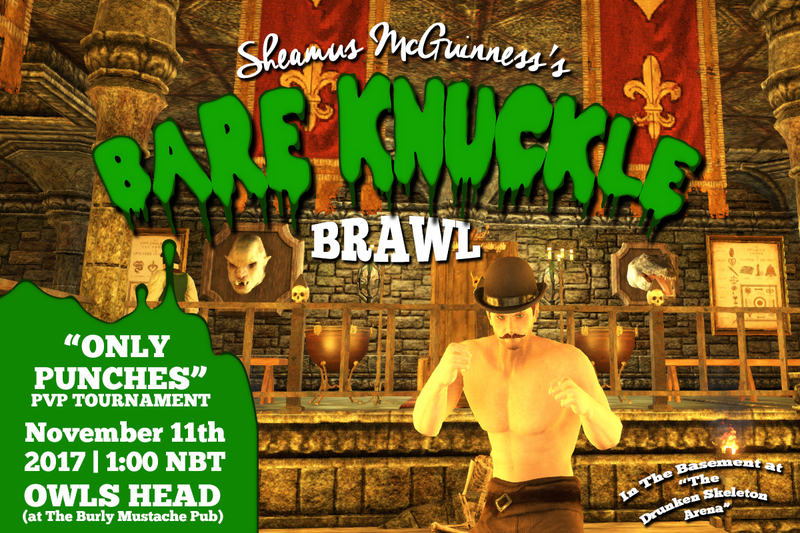 From Sheamus McGuinness: The first rule about BARE KNUCKLE BRAWL IS… don’t miss it! 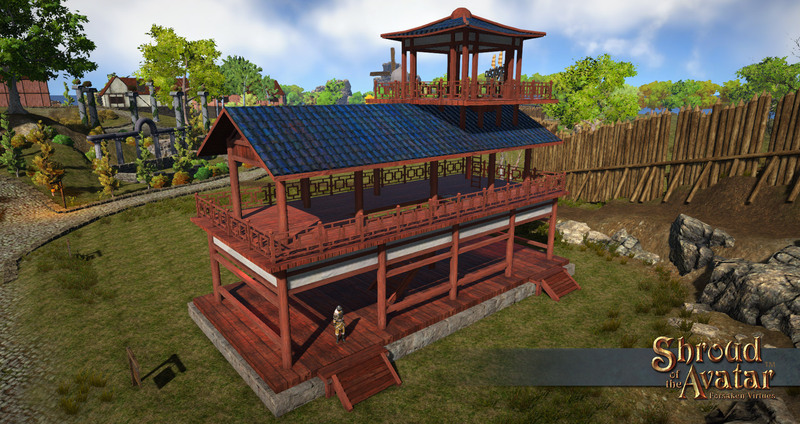 Join me for a “Punches ONLY” PVP Tournament that works JUST like it sounds. That means no skills from any skill tree are allowed! 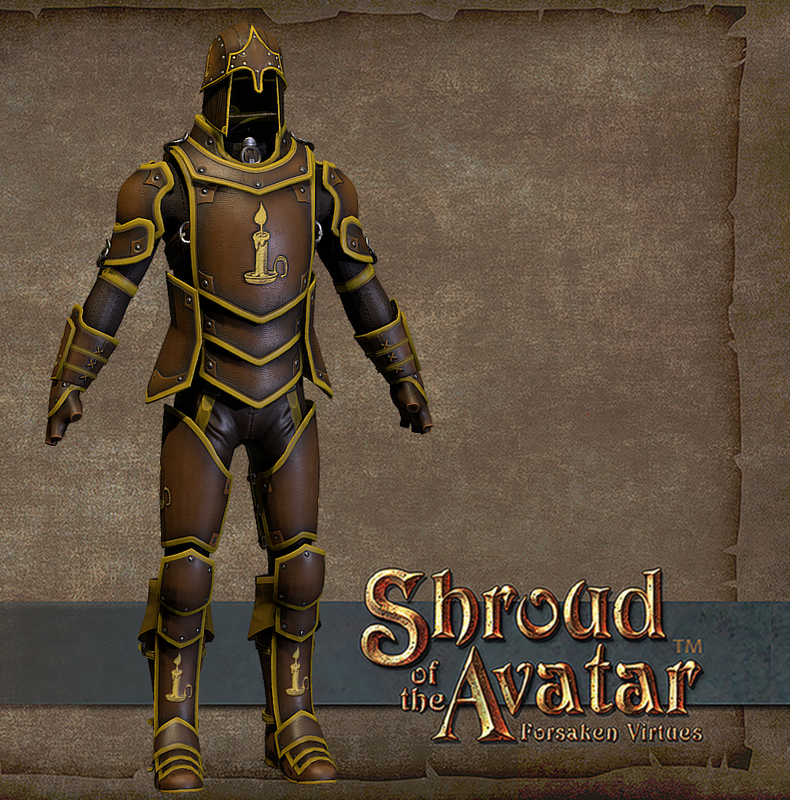 No potions, no armor, just 2 Avatars in the ring with BARE KNUCKLES fighting to the death for top prizes! Fights are to the death and it is a single elimination tournament. Nothing but punches are allowed. No Magic. No Skills. No Healing. 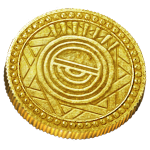 Fortune & Glory goes to the last Avatar standing and they will also walk away with 100,000 gold! THANK YOU to the streamers, viewers and supporters who made Extra Life 2017 a SUCCESS! True Blood, Twilight, and Vampire the Masquerade have proven to us that Gothic fantasy is incredibly popular, yet there is no online world for fans of the genre to play in. 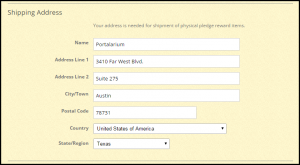 Do you want to play a space captain… or a wizard… or a mech pilot… or even Batman? If so, there’s an online game for that. But if you want to play online as a vampire or werewolf, as a fallen angel or an insatiable monster, well, you’re out of luck. We at Clockwork Throne have seen that glaring hole in the Massively Multiplayer Online game market. We’ve watched as not one decade, but two decades, have gone by, and the big publishers have not stepped up. They don’t understand this dream, but like you, we’ve dreamt of ruling the night ever since our first encounter with the undead, in an RPG, on the pages of a book, or on the silver screen. They don’t get this dream. They won’t build it for us, so we’ll build it ourselves. 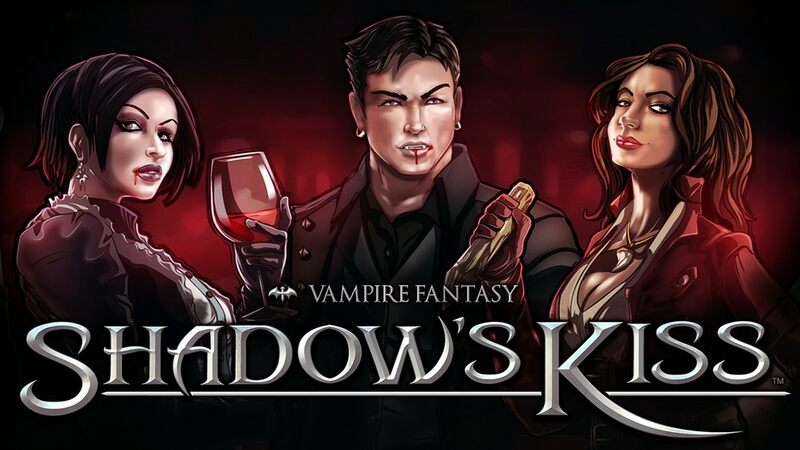 Check out Shadow’s Kiss Vampire MMO on Kickstarter! 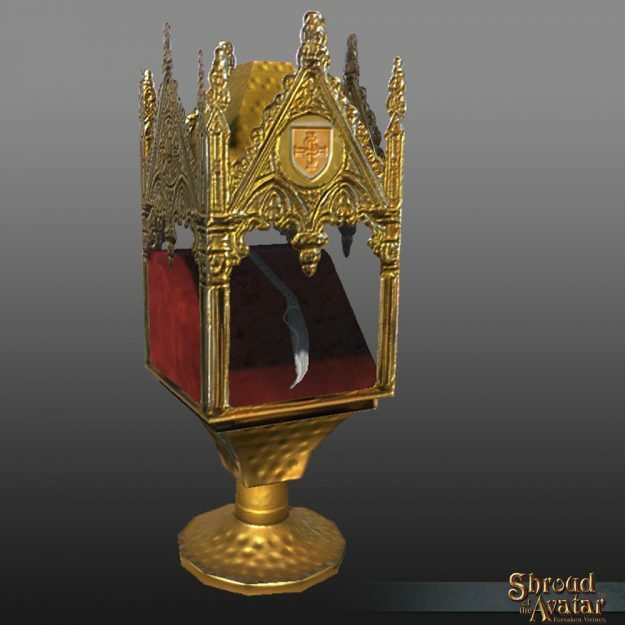 Armour of Courage looks immaculate, but one thing I have to say still, the Knight title basically Sir, please add this back to purchase at least, naturally like I suggested during the Reddit IamA, just give the owners of Knight, the Knight Bannerette title instead, lets them keep there prestige! 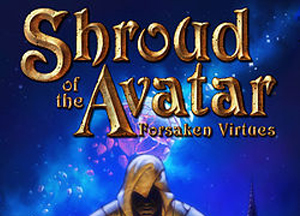 Please give it a try now, it should only ask for your sota account name.